Google knows this place better. Because it was there on the top ten travel destinations in India listed by Google, based on the searches in 2012. What else to say about Munnar? 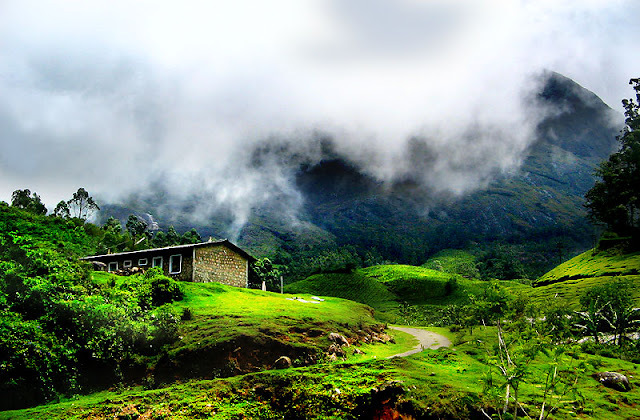 It is an irresistibly enchanting hill station traced in the district of Idukki, Kerala. This incredible hill station is placed on the Western Ghats. The name ‘Munnar’ is a combination of Moonnu(Three) and Aaru (River). So the meaning comes like ‘Three Rivers’. These credited rivers are Madhurapuzha, Nallathanni and Kundaly. Munnar is placed at the convergence of these rivers. The name says the same. The proximity adds many cultural connections to Munnar with the neighbour, Tamil Nadu. This irresistible hilly town has contributed to the popularity of Kerala across the globe. Not an exaggeration, Google has the proof. Countless holidaymakers and tourists, from the nook and corner of the map, turn their wheels to this magnificent land in search of leisure. Munnar’s history has a bright tint of colonial times. This place was served as the summer resort of the British in South India. Still it serves the same, but not for the British only. Summer turns this serene land into a world that those fairy tales have drawn for you. Munnar has everything a common man’s fancies wish for. It’s virgin valleys, dark forests, wild sanctuaries , sky scraping mountains with white floating blankets, serene air, wide variety of flora and fauna, romantic weather and of course, the seamless tea plantations are just enough to make it the most wanted tourist destination in Southern India. This abode of nature’s pristine wonders is considered as the major attraction of Munnar. Eravikulam is home to a number of endangered species like Nilgiri Tahr. Have you heard about Anamudi, the highest peak in South India? Then come to Eravikulam. This 2700 meter high peak is located inside the park. You can also try for a trekking permission from the Forest Department. If you move 13 kilo metres forward from Munnar, the mile stone will say Mattuppetty. Yeah, the same place which is famous for its dam, lake and Indo-Swiss Livestock Project’s dairy farm etc. Pallivasal and Chinnakkanal - Two popular waterfalls in the region. Tea Museum by Tata Tea- Tea plantations in Munnar have a story to tell and here you will see it. The museum run by Tata Tea shows off the legacy. Ponthanmedu, Attukal, Rajamala, Echo Point, Meenuli and Nadukani are fall in the list of other attractions. Have you heard about Neelakkurinji (Strobilanthes Kunthiana) ? It is the most celebrated flower in Kerala. It blooms only once in 12 years. People associate it with myths and poets take it into the colourful imaginary world of their own. And science says something else. Anyway, you can see the Neelakkurini spot on the Munnar-Kodaikkanal road. 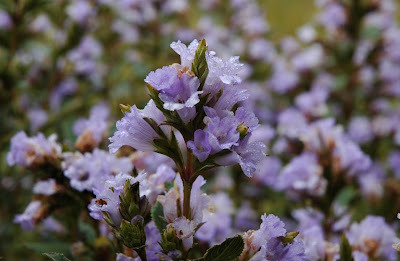 Wish for a special Neelakkurinji season. There are a lot more things and places to explore in Munnar. Its pleasant weather welcomes you any time. It is one of the few romantic destinations in South India. Favourite spot of trekkers and bikers. You can reach Munnar from both Kerala and Tamil Nadu. It is easy to get various levels of accommodation facilities like resorts, hotels, home stays etc. which suits your comfort. Munnar is the best choice if you plan a honeymoon trip or a pleasure trip with family or friends. Come and explore the ravishing and serene beauty of nature. Yeah, it’s here. Munnar, the abode of attractions.